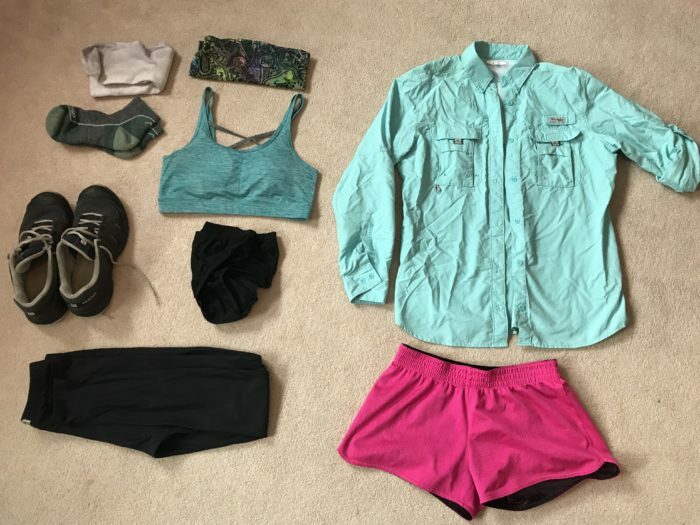 Now less than a week away from my start date, I’m getting a lot of questions from family and friends about this hiking thing. Is this safe? What about grad school? Why am I doing this? What all am I bringing? Just generally, how does this work? Is this actually happening? I decided to cover a lot of those frequently asked questions here!. Because I want to. That’s the simple answer. I read my first book on the AT in fifth grade, and I haven’t stopped thinking about it since. I never thought it would actually happen, until I was jokingly talking about it with a friend during my senior year of college. The joke of “meh, maybe after graduation I’ll just drop everything and hike the AT” turned into, “wait… what if I actually do?” Now that I’m done with the school thing, I finally have the time to go after this goal before I move on to “real life.. What’s the point of having dreams if you never actually give them the opportunity to come to fruition? –To push my limits and see what my body is actually capable of. –To focus on just myself for a while, instead of others. –To show myself I can meet my own needs and take care of myself. –To live a more minimal and simple lifestyle for a while. Actually, no one. I’m starting this trek alone with the hopes of making friends along way. Alone doesn’t really mean “alone,” though. Even though I won’t have a hiking partner at the start, there will be lots of other people on the trail. Is this safe? Are you scared? I’m a bit nervous, but more than anything I’m just excited. Obviously things could go wrong, but I feel safer hiking the trail than I do driving or walking around outside at night. I carry a SPOT GPS device with me while hiking though, so if it’s looking like I’m going to die then I can always send out an SOS call with my coordinates. I’ve done other solo long-distance hikes before though, so I feel pretty confident in my abilities. What about that college degree you just got? What about adulting? My geology degree will still be here when I get back. Now is the perfect time to go on this adventure, because the college commitment is over but I don’t have the real-life responsibilities of a house, job, family, etc., yet. When I come back from the trail, I’ll make a decision about what to do next. Right now, the three main options for then are to get a grown-up geology job, go to graduate school, or hike another trail. I’ll figure it out eventually. I’ve got 2000-plus miles to think; I’m not in any rush. What are you bringing? Don’t you need x, y, and z? No, I do not need more socks, a Taser, or a camp chair. My gear is a comfortable weight for me, and I love the setup I have. 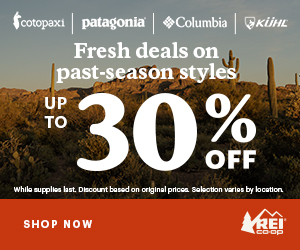 While some of this is new specifically for the AT, most of it has been tested and loved already along other hikes. 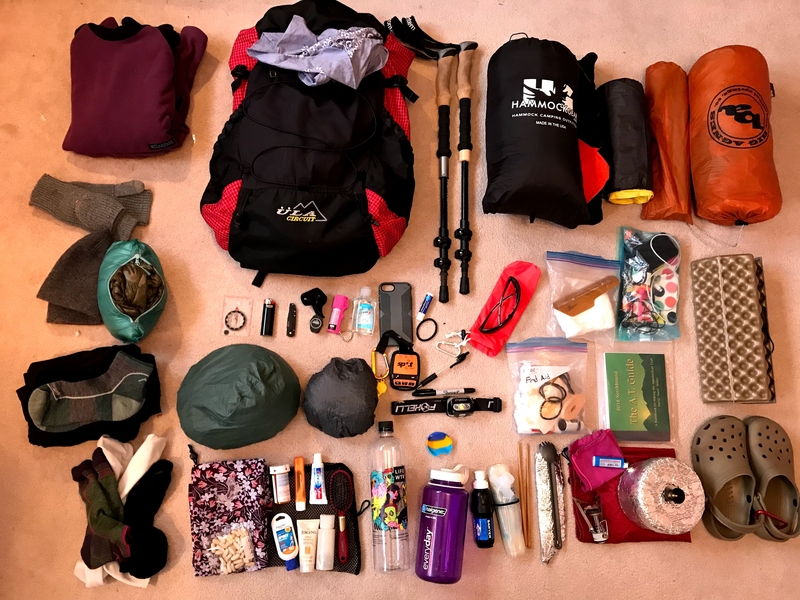 Pictured below is everything that will fit in my pack. Eventually I’ll publish my official gear list here on The Trek, complete with weights and clickable links. For now though, this list will be good enough. This is my daily hiking outfit. I’ve decided to forgo mail drops and instead just resupply in towns. 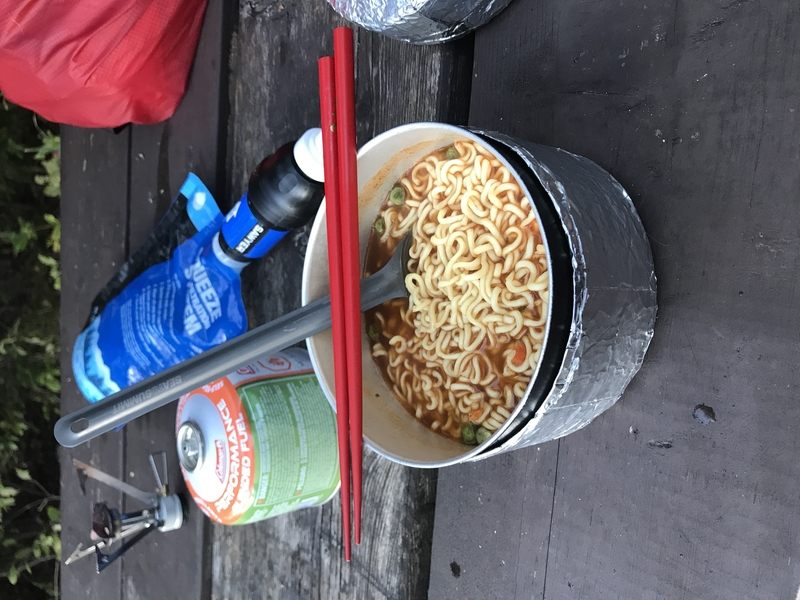 For breakfasts, I don’t like to spend time cooking and cleaning up after a meal, so instead I eat hand-held food while I hike (like protein bars). I’m a big fan of pepperoni and cheese on bagels for hiking lunches, but I’m sure I’ll expand my palette to accommodate other luxurious meals. 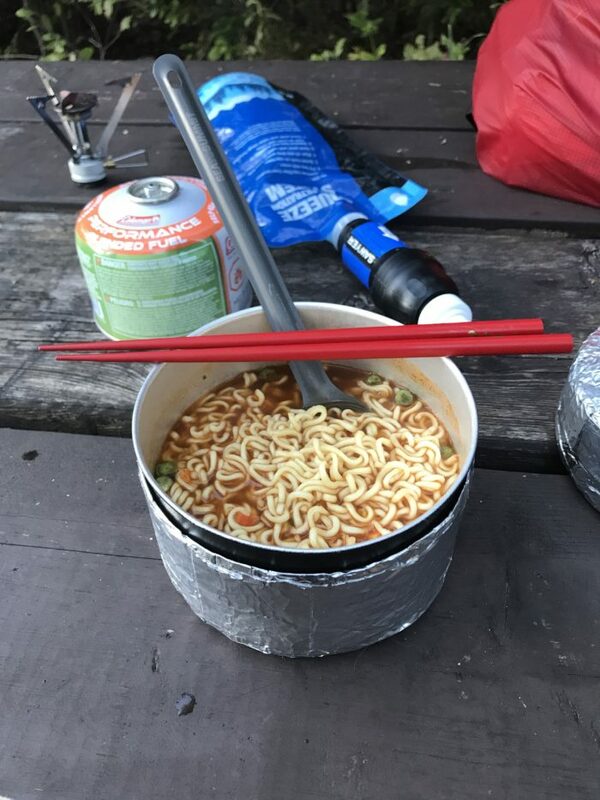 Dinner time is when I break out the stove and make hot food, typically some combination of dehydrated beans mixed with rice or ramen. Every three to five days, I’ll head into town and resupply my food and any other gear I need. I’ll also binge on delicious town food, and inhale whatever edible trail magic I encounter. How long will it take? How does this work? My plan is to hike all the way to Maine, so anywhere from four to seven months. Ideally, I’ll finish sometime in September (I just like that time of the year), but anytime before mid-October is fine by me. I’m just trying to avoid too much cold up north. I don’t have much of a plan, other than to just hike at whatever pace I like and life permits. I typically hike pretty quickly (I earned the trail name Mall Walker on my last thru-hike), but I’d like to ease into the hiking to hopefully prevent any injuries. I’ll be flying into Atlanta, Ga., and then my fantastic grandparents are driving up from Florida to pick me up and take me to Amicalola Falls the following day. Then I’ll hike north toward Maine for the remainder of my hike. Every three to five days (usually) I’ll be able to hitchhike into towns to resupply food and rest. If I choose to, I can stay in town at either hotels or hostels, and I’ll be able to shower, do laundry, and relax before getting back onto the trail. Goodbye for now, and I’ll see you soon. think you forgot the fishing pole !! enjoy every step !! be safe !! A NPT thru is a good distance for a gear shakedown hike and familiarizing with staying out for close to a wk. It’s flat though compared to the AT beginning on Day 1 at AF SP. Hello from California! Randomly came across your blog — I wish you well. Have a great adventure! My son thru hiked the AT Mar 31-Aug 28 last year. It’s an amazing experience. Feel free to read his blog nickshigo.com. All the best wishes for a safe and successful journey. Umm….where is Penelope? Is she going ton the AT trek with you?